While President Donald Trump has spoken harshly about Mexico and Mexicans during his first 100 days, U.S. Rep. Henry Cuellar, D-Laredo, has secured millions of dollars to strengthen U.S.-Mexico trade and ties. 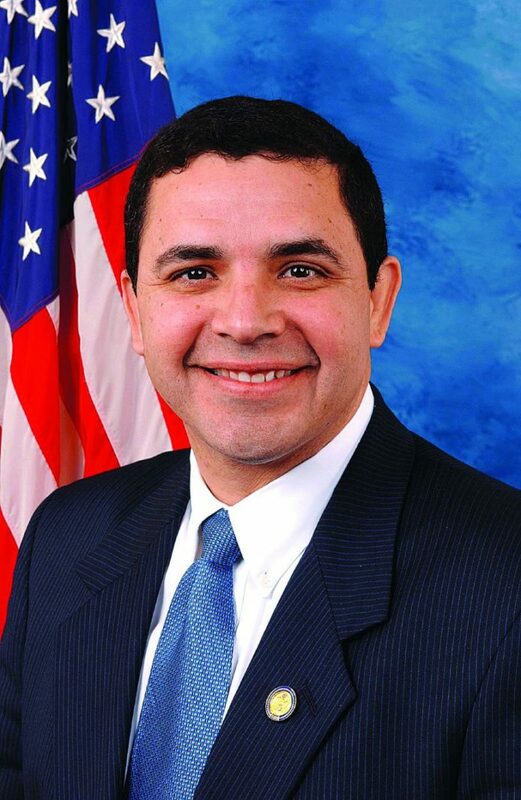 Cuellar, whose district stretches for 280 miles along the border, announced that the Omnibus Appropriations Act includes funding and language to improve Customs and Border Protection staffing at ports of entry, to increase U.S.-Mexico academic exchanges through the State Department and $18 million toward trade and export promotion. Other money secured included $90 million for Mexico via International Narcotics Control and Law Enforcement; $49 million for Mexico via the Economic Support Fund for programs to support justice reform, promote good governance, protect human rights and implement crime and violence prevention programs; $5 million for foreign military financing and $1.5 million for international military education and training. Cuellar added that CBP staffing at international bridges is vital. “You have an area like the Valley and the city of Pharr, for example, you have a lot of agricultural products coming in,” Cuellar said, regarding the Pharr-Reynosa International Bridge. Wait times at the bridge can be hours long on certain days, in part due to a need for more CBP staffing. Sen. John Cornyn, R-Texas, has also supported trade between the two countries. He has warned the White House about not pulling out of the North American Free Trade Agreement, and that, if anything, a renegotiation should happen instead. Trump ultimately agreed in April to not withdraw from NAFTA and alerted the leaders of Mexico and Canada that he is willing to renegotiate the 23-year-old trade pact. “If you notice, members of Congress along the border are still moving on and cementing our relationship with Mexico,” Cuellar said. There was also $655 million appropriated for the U.S. Strategy for Engagement in Central America for the northern triangle of Central America, which includes El Salvador, Guatemala and Honduras. Thousands of immigrants from those countries journeyed to the United States in recent years to escape violence and poverty. Many were apprehended in the Rio Grande Valley. However, illegal immigrant apprehensions have dropped significantly since Trump became president. The local Respite Center at Sacred Heart Catholic Church, which temporarily houses legal immigrants after they’re apprehended, has seen its lowest number of visitors since it opened in 2014.